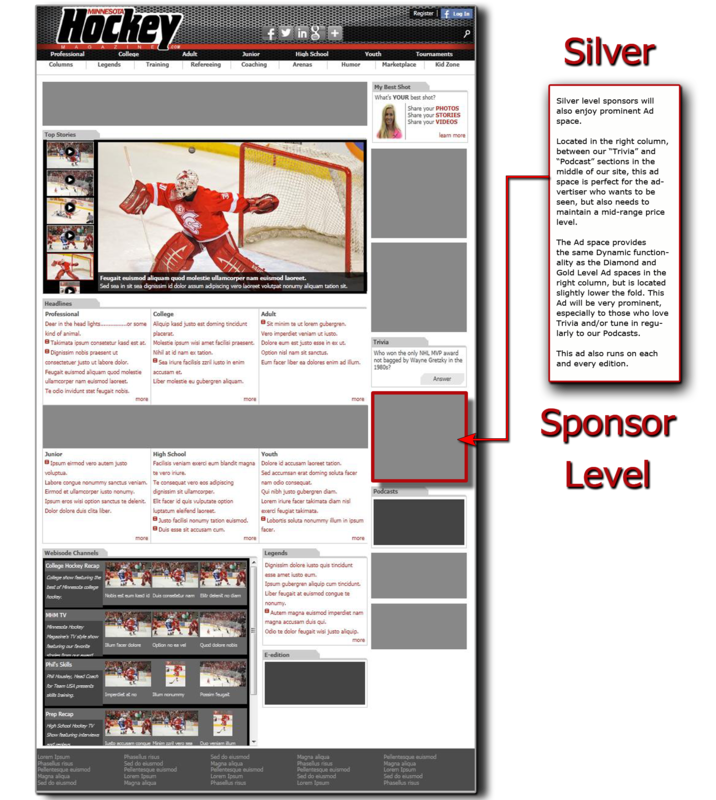 Our Silver level is for those advertisers who consider a dynamic large box advertisement without a banner to be sufficient. The location of this advertisement is in the right column, between our “Trivia” and “Podcast” sections, which will provide excellent visibility. Due to it’s dynamic possibilities, this advertisement option is excellent for those who may want to showcase a promotional video or flash animation, but need to work within a smaller budget. Static Ad type is of course an option as well. We are limiting our advertisers to provide each sponsor with the best possible service and providing excellent exposure. Go to our “Contact Us” page and submit your “request for information” or just give us a call, and we will send you our “Rate Sheet” PDF.